A hard body with furry knees. 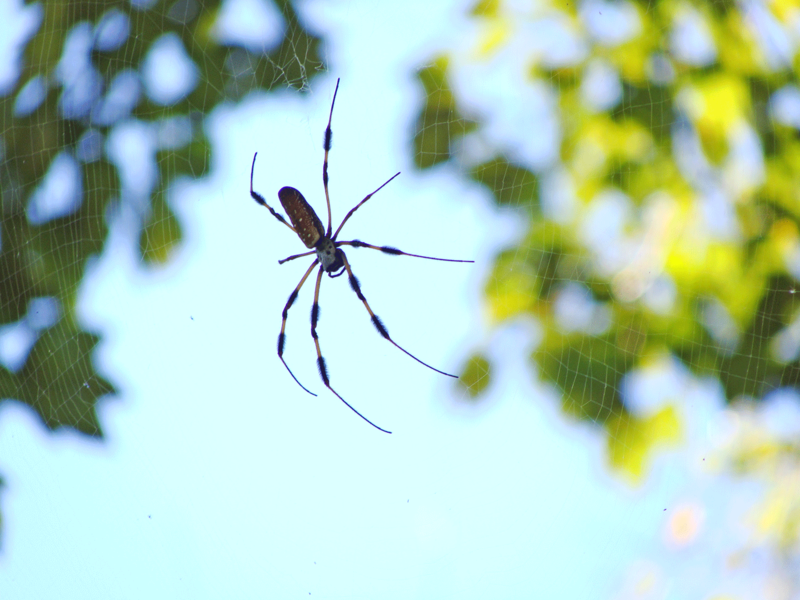 Golden silk orb weaver rests in its net. 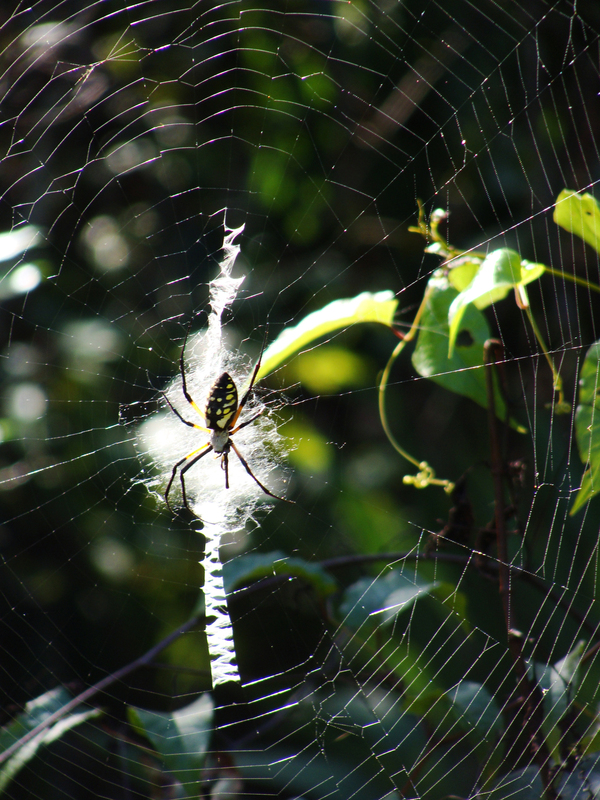 Another wildly colored arachnid whose interesting web pattern seems to make it a halo in the sunlight. 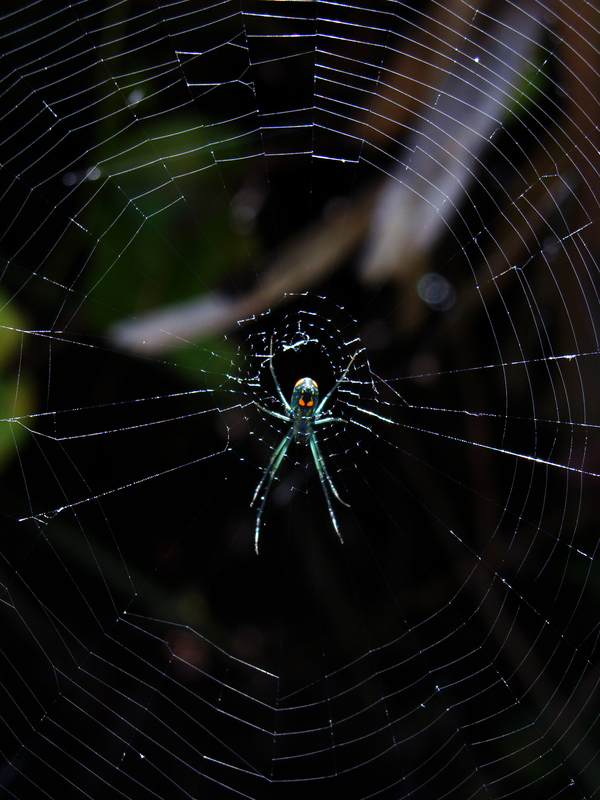 This orb weaver’s color makes it seem so exotic. 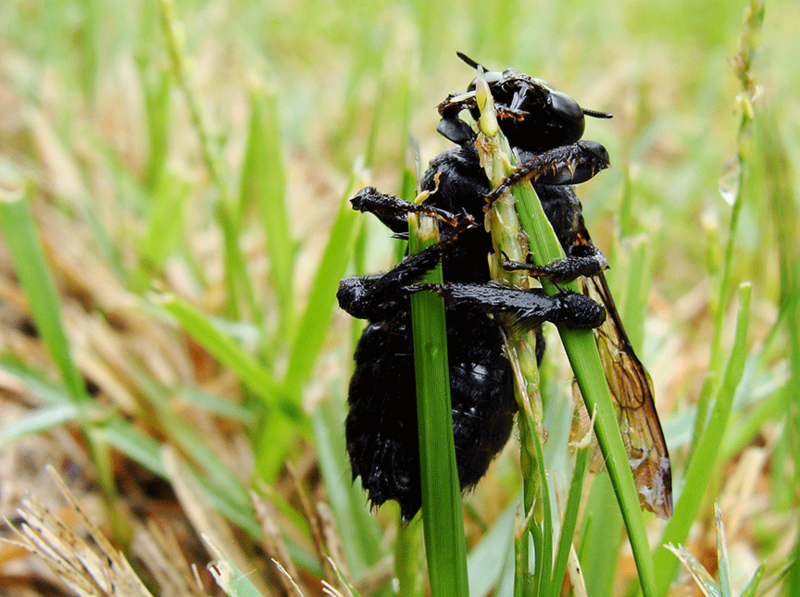 Cold, wet carpenter bee hangs on to blades of grass. Carpenter bee clasping blades of grass. The early bird: An old story in a split second. 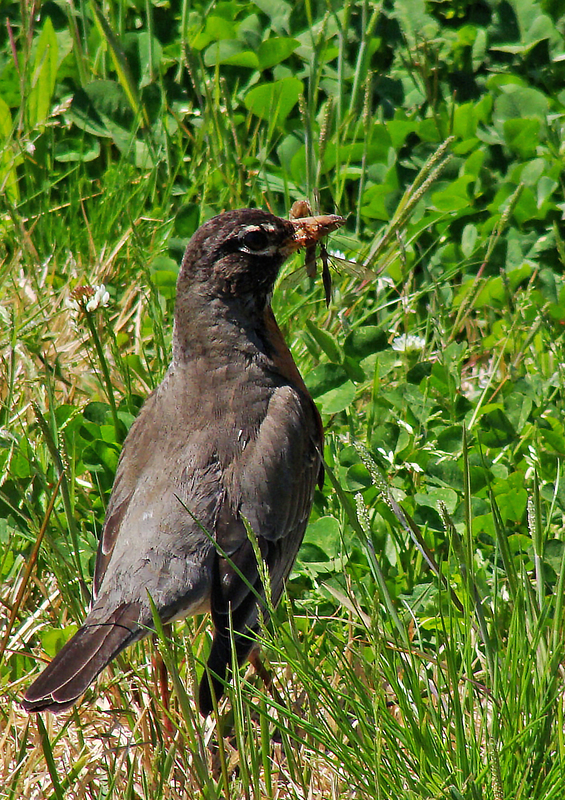 In this case, the bird got both the worm and a crane fly. 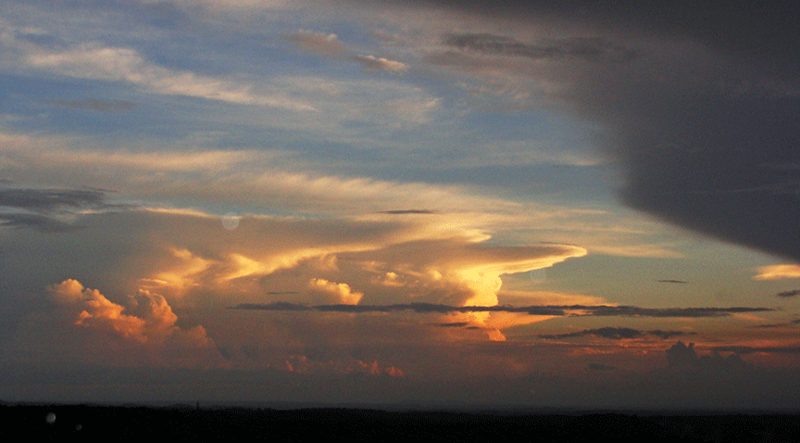 After the rain, mist rises from the mountains to meet the sky. At times the mist rises in columns that bend gently like grass in a breeze, shifting east and then west at the whim of the winds. The movement is hypnotic and in its silence, mysterious. Post-rain mists rising to meet the sky. 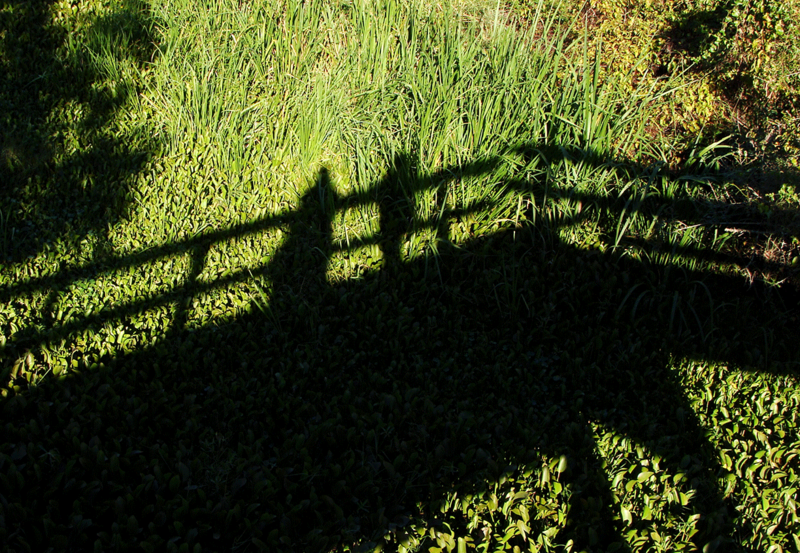 Many of the photos in this blog are taken along paths trod time and time again on weekend “photo safaris,” which usually consist of an hour walking an area less than a half-mile radius from the house. There are mornings where the thought forms, (with sigh): “There doesn’t seem to be anything new today.” And almost before it’s completed, something new does appear. 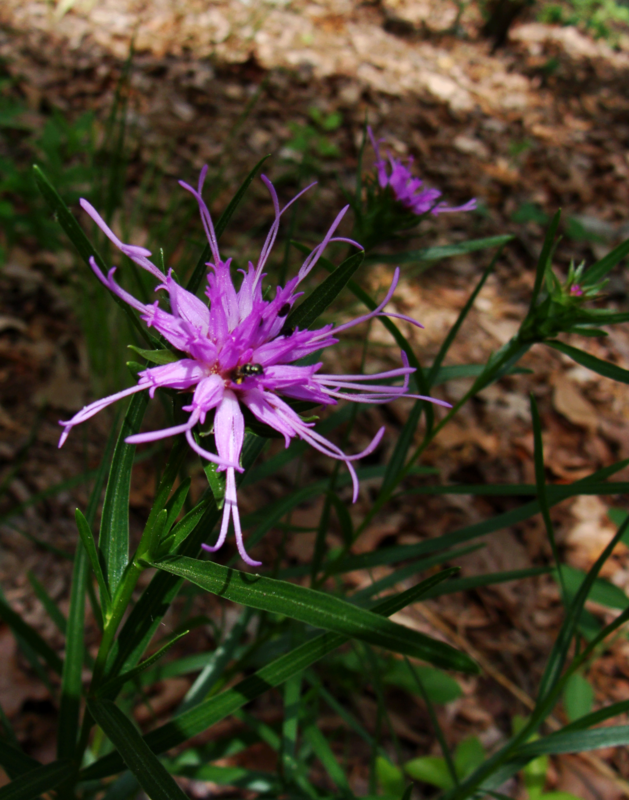 This was the first time in all the years on the mountain that we’d seen these purple bee balms. These were perched comfortably on a steep, south-facing slope.